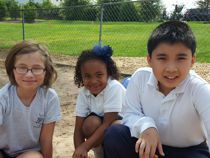 Why Does St. John Neumann Academy Need to Raise Money? St. John Neumann Academy chooses not to charge the full cost of educating our students and we think this is the right path to take. Lower tuition allows us to keep a Catholic education affordable, attract more families, and promote diversity within the school. Tuition and fees cover only a portion of actual annual operating costs and SJNA has to raise money to close the fiscal gap in the annual operating budget and the cost to educate each student. Funds raised through our Annual Fund Campaign enable the academy to direct funds to the areas of greatest need such as operational expenses, educational materials, and our tuition assistance program. Why Not Set the Tuition Higher and Skip the Fundraising? Setting tuition higher would mean many families could not afford the Catholic education we provide. Therefore at SJNA, tuition is kept as low as possible and campaigns like the Annual Fund allow our families and friends to make a tax-deductible gift to the school at the level determined by their hearts and financial circumstances. Will Your Donation Really Make a Difference? Yes! No gift is too small. It is the multiplied gifts of many people that make the difference and help keep SJNA the special place it is. Your gift will support our mission of teaching the students to dedicate themselves fully to the development of their faith and their intellectual growth; to appreciate the values of discipline, respect, and integrity; and to serve the communities in which they live. You can send your check (payable to St. John Neumann Academy) to: St. John Neumann Academy, 3600 Yellow Sulphur Road, Blacksburg, VA 24060. The school also can accept gifts of stock. Please contact the school Director for more information. Thank you for your support!